• The LPFD15 allows you to replace your factory OEM stereo while retaining factory steering wheel controls, if the vehicle is equipped. This interface will maintain the data-controlled +12V accessory output as well as provide navigation outputs for reverse, vehicle speed pulse and park brake. • Provides analog +12V output for variable dash illumination and analog pulse output for vehicle speed, reverse trigger and ground output for parking brake engagement. • Retains factory data, steering wheel controls, and time settings via SWC. 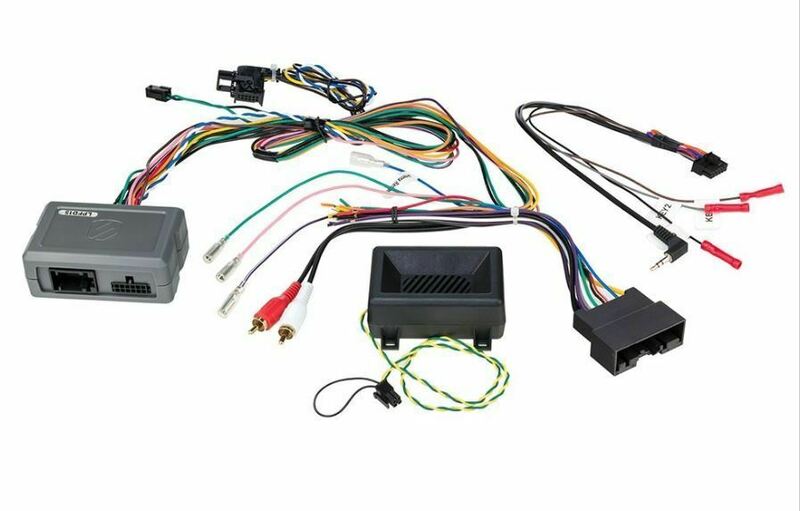 • Includes chime module for parking sensor and audio retention plus universal head unit steering wheel connection harness for most aftermarket brands: Alpine, Clarion, JVC, Kenwood, Pioneer, Sony, and more. • Not for use on vehicles equipped with a factory navigation system. LINK+ SERIES ADVANCED INTERFACES Provide advanced data bus and vehicle systems integration for a seamless installation of an aftermarket stereo into a modern dashboard. LINK+ Interfaces allow extra features such as OEM Amp retention, vehicle menu retention, OEM camera retention, parking sensors and warning chimes as well as also include standard features such as Steering Wheel Control retention, Navigation / Multimedia Radio outputs, and Vehicle Accessory Retention (wherever applicable).